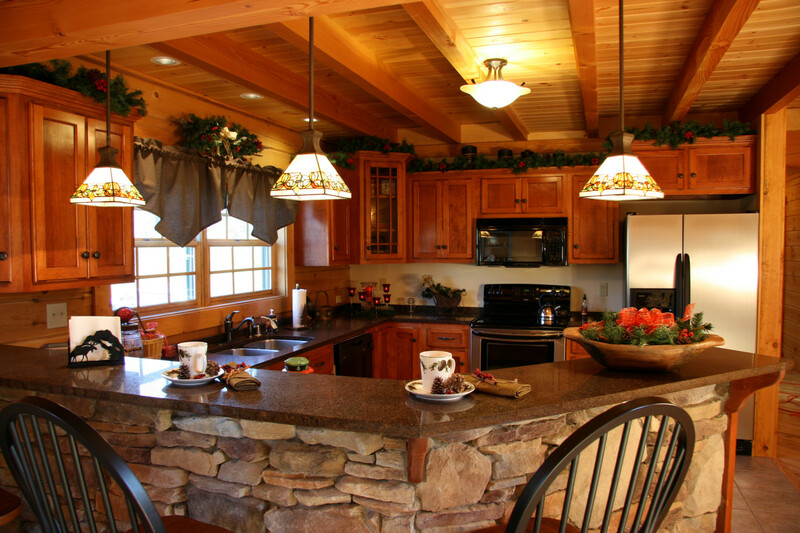 We've got experience in every aspect of log homes - from design & construction to decor! Log Homes are not just beautiful - they're efficient too. At Rocky-K Log Homes, we specialize in Insulated Concrete Foundations, bringing traditional comfort into a new age of efficiency. Sit down. Lean back. Relax. Stay a while. 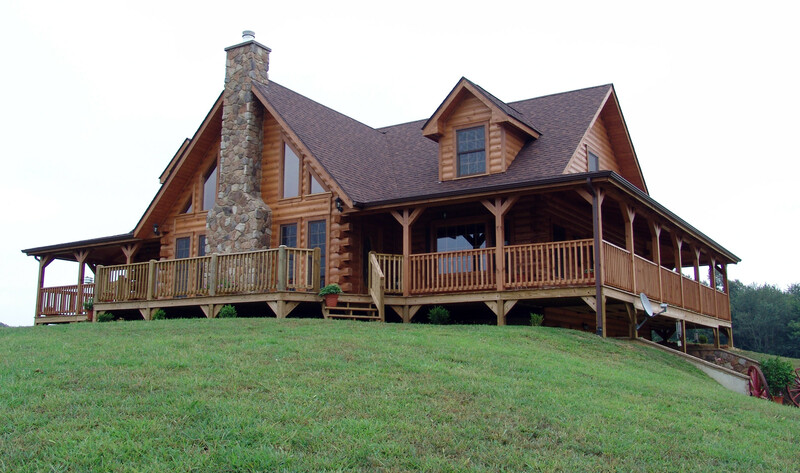 Always loved the look of a log home, but never truly considered it? We can get you up to speed so you’re ready to make your dream home a reality. If you think like us, then there’s nothing more beautiful than a log home on the quiet countryside. The possibilities are endless, just take a look! 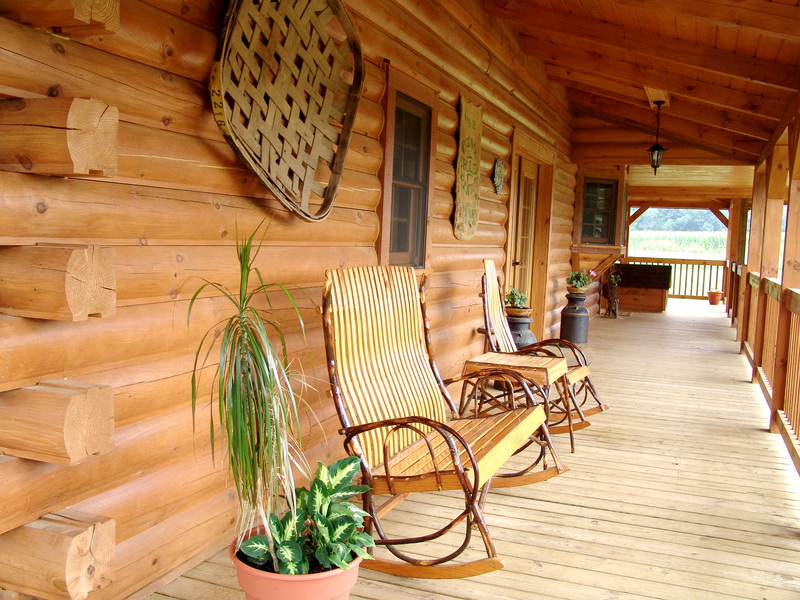 So you’re ready to take the first step in owning your Log Home? Well you’re in luck! 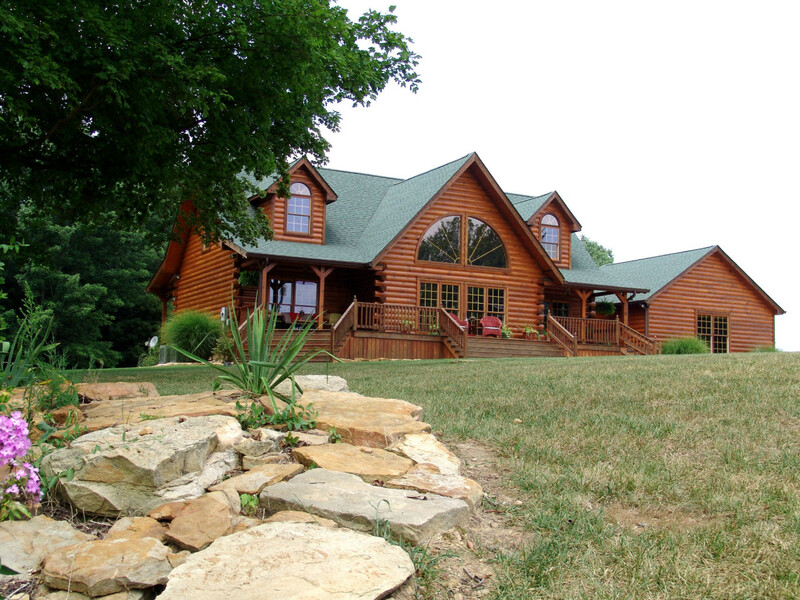 Rocky-K is one of the most experienced Log Home builders in the area. Whether nestled in a countryside meadow, the woods, or on the lake, the log home of your dreams does not have to stay, ‘just a dream’! The staff and crew of Rocky-K Log Homes and Construction are ready to help you take your dream and turn it into a reality. So, why wait until ‘someday’? Browse through our site, or better yet, stop by for a visit. Get a sense of our commitment to you in obtaining a log home legacy for you and your family – where memories will be made – a place that will truly be ‘home’ for years to come. Did we mention we love log homes? We do more than just build them - we furnish them! We've got the perfect decor for your dream home. Whether you're looking for a small accent item, or that perfect conversation accessory, we have you covered. Rocky-K is also an authorized Big Green Egg Dealer (in store only). Check back regularly as we update our inventory! The continuous insulation of the formwork creates minimal air flow through the foundation to reduce heat loss. ICF provides a very high thermal resistance typically above R-17. Insulated Concrete formwork is strong enough to stand up to 250mph winds. This far exceeds standard stick-built framing and provides an unbeatable level of protection in a home. ICF walls have much lower rates of acoustic transmission. Standard thickness ICF walls have shown sound transmission coefficients (STC) between 46 and 72 compared to 36 for standard fiberglass insulation and drywall. ICF walls can have four- to six-hour fire resistance rating and negligible surface burning properties. Because they are constructed without a sheet plastic vapor barrier, ICF walls can regulate humidity levels, mitigate the potential for mold and facilitate a more comfortable interior while maintaining high thermal performance. Due to the continuous nature of the ICF walls, it is substantially more difficult for pests (both rodents and insects) to find a way into your home. Rocky-K Log Homes is a certified dealer and installer of Honest Abe products. To get the latest news from Honest Abe, be sure to check out their online magazine publication by clicking this link. This publication is free to read, download, share or print for your benefit. Is building a log home expensive? As with any home, the features and amenities included in the home will direct the final cost of the home. We encourage you to meet with us to discuss your ideas and we can assist you in finding the plan that will meet your needs and your budget. Will banks lend money for log homes? Yes, many banks and lending institutions will finance log home projects. Some banks, for various reasons, will not lend on log homes so it is best to ask right away before getting into the application process. 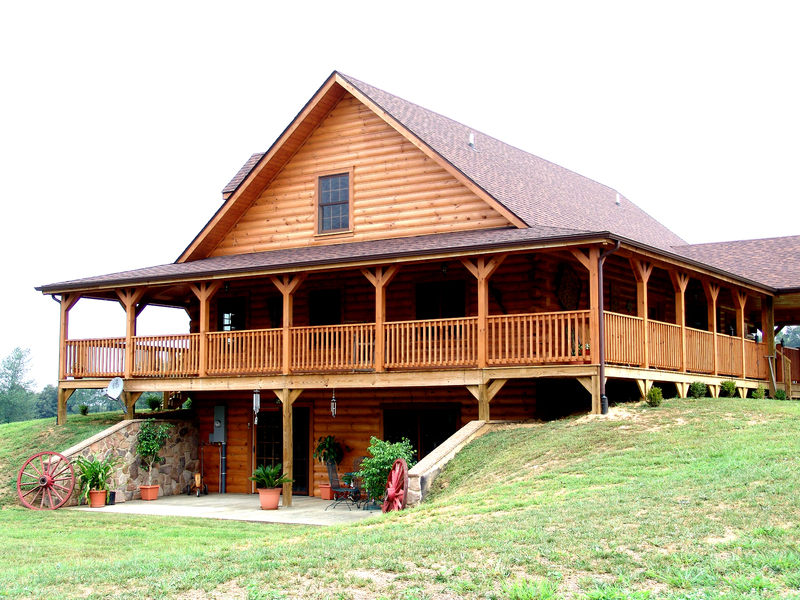 We can give you information from several companies who will lend on log homes. I want one, but where do I begin? Addressing three issues early in the planning stage will help your project progress smoothly. The first issue to address is determining how much money you will have to work with. This will affect what land you purchase and the features your home will have. If financing will be needed, it is important to go through a prequalifying process with a lending institution and establish a budget for land purchase and the building of your home. Next, begin looking for that special place where you want to build your home. As you address these first two items, begin a notebook of clippings or photos of features you like about homes you see in magazines or visit in person. This will be very helpful in communicating to us what you want your home to be like. Is a log home maintenance free? All homes require a certain amount of maintenance to keep them looking as beautiful as the day they were built. For example, it is required that you apply an exterior finish to your logs, therefore, we include the exterior stain in our log packages. This finish adds beauty and protection to the home, and is available in a wide variety of colors. Depending on your home’s exposure to sun and weather, you should re-stain as needed. When you purchase your log package from Rocky-K Log Homes, you will be provided with care and maintenance instructions and tips. Will any land work for my home? Is the property accessible to construction equipment? Does the land have access to water and good drainage? Will there be extra costs to bring utilities to the site, especially telephone service and electricity? Often, the landscape will help determine how your floor plan will need to be modified. Having your land in hand early on in the process will be a plus. Do I have to select from the floor plans? All of our homes thus far have involved some sort of customization. Many times folks will use the standard plan for ideas, or even combine plans. If none of those are close to what you had in mind, we can help you design a floor plan of your very own. Can I be my own General Contractor? Being your own contractor can save you some money. But keep in mind that you will be responsible for hiring and scheduling all subcontractors. This can often be more time consuming than folks think, so be sure your schedule will allow for this. Many lenders will not approve a loan unless a professional contractor is building the home or acting as a builder of record.